Posted on January 26, 2018 at 6:57 am. 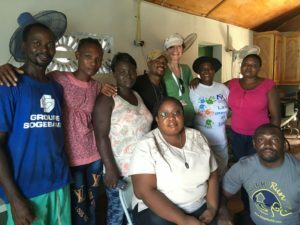 The Hands Up for Haiti family is deeply saddened to announce the passing of Judy Rhineschmidt McAvoy, our dear friend and a founding member of HUFH. 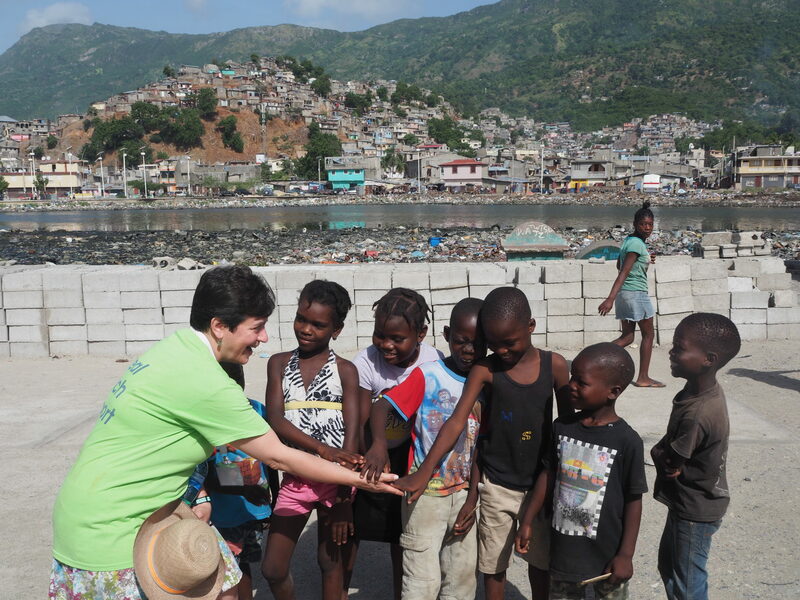 Judy served on the Hands Up for Haiti Board of Directors since its inception and was an active trip leader and program director. 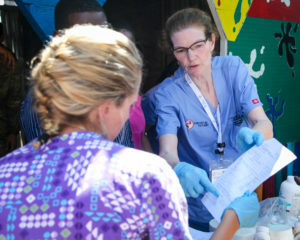 Judy was a registered nurse whose career was devoted to children and mothers. 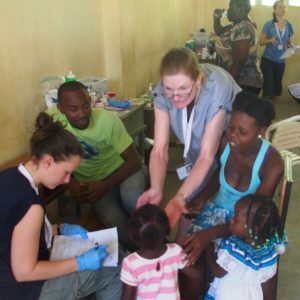 After the devastating earthquake in Haiti in 2010, Judy went on our inaugural trip to Haiti to administer medical care to communities that had never before received care. 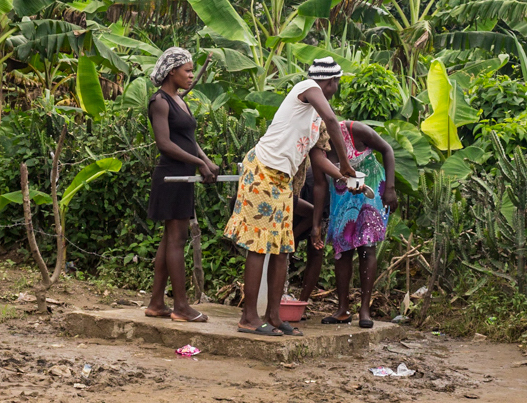 Since that time, she traveled back to Haiti several times each year. 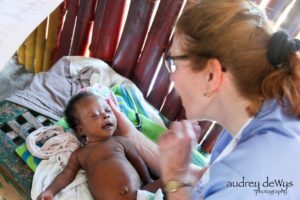 Judy spearheaded programs to further educational opportunities with Haiti’s nursing schools and students, and worked tirelessly to improve newborn survival by promoting breast feeding and teaching Helping Babies Breathe, newborn resuscitation skills, to traditional birth attendants. 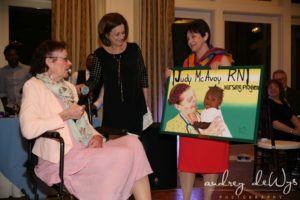 Judy was an amazing, dedicated person who was an inspiration to us all. 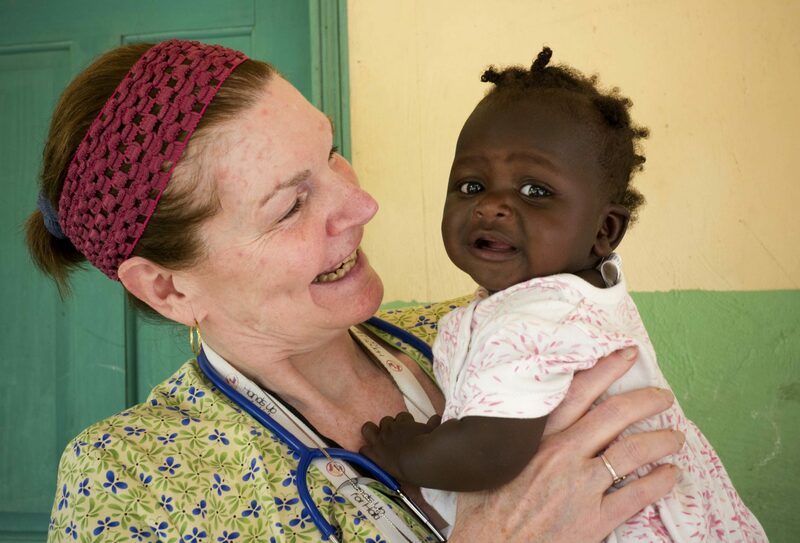 We will miss her passion, quick wit and the smile that lit up a room each time she held a baby in Haiti. 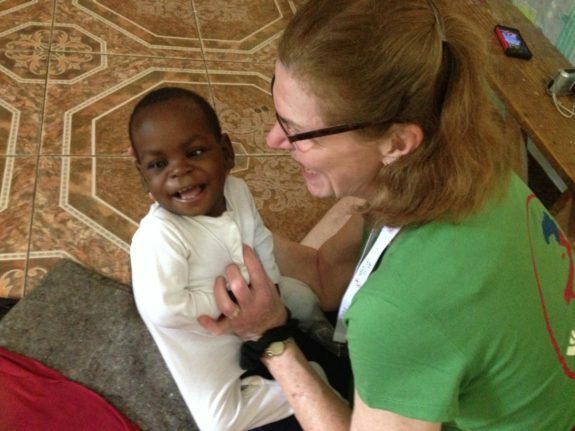 Judy’s passing leaves a hole in our hearts, but her legacy and spirit will live on in the many people of Haiti who she has helped, especially the mothers and children. 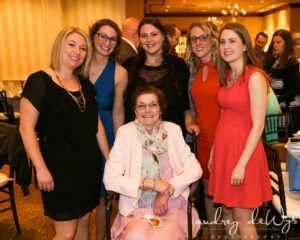 Judy is survived by her husband of 43 years, Jim, her two sons, Tim McAvoy and Brendan McAvoy and his wife DeAna, her daughter, Erin Gallagher and her husband Jason. She is also survived by the love of her life, her grandson Archie, as well as her three sisters, Linda Jaffe, Nancy Martone and Katie Cassell. We extend our deepest condolences to the entire family. 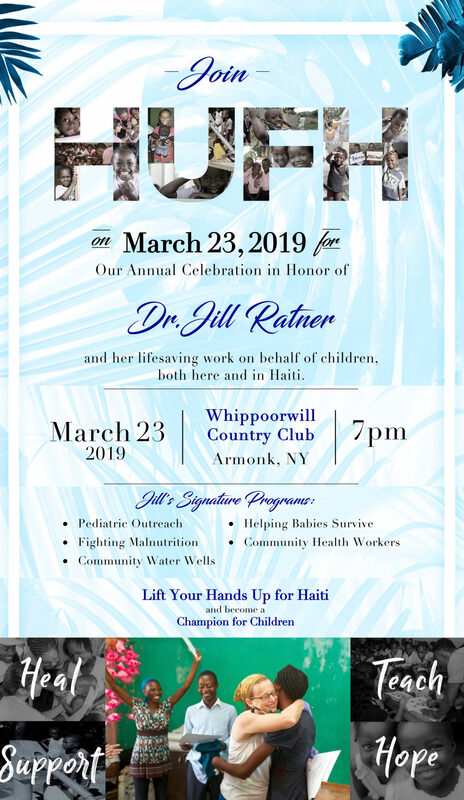 Judy’s family has requested that for those who wish to honor Judy’s memory, and in lieu of flowers, to please make a donation to Hands up for Haiti in her name. To read more about Judy’s amazing life, here is a link to her obituary.